From New York City to the Philippines, Turkey and beyond, these Instagram-famous twins from Australia have been traveling the world for several years now, and getting paid to do it. 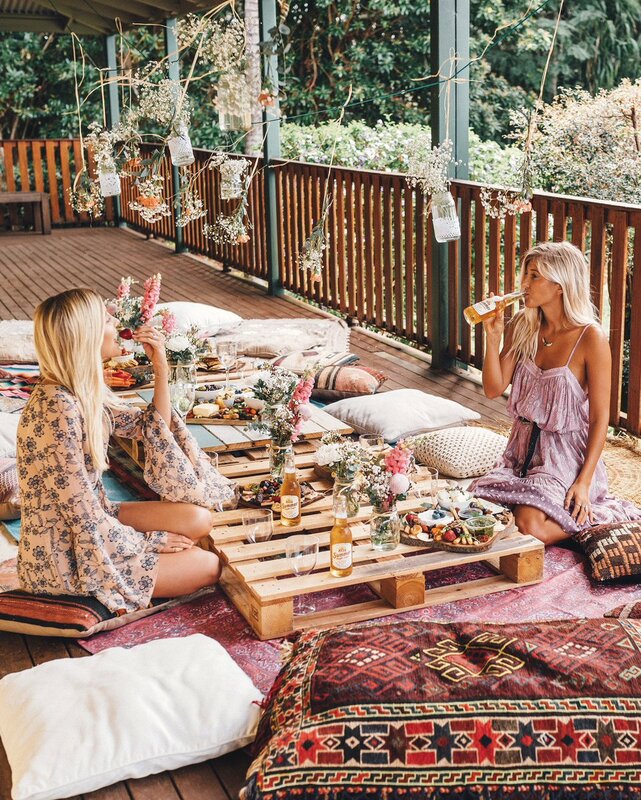 Under the account names Gypsea Lust and Elsa’s Wholesome Life, these women have been successful in building social followings for doing what they love. With 2.6 million followers combined, the Bullen twins continue to gain miles and followers while setting out to inspire others to travel more and live a healthy lifestyle. They have become popular in the travel industry for their ability to showcase destinations with a zest for life via professional photography and social media shares. Recently, I had an opportunity to connect with Lauren and Ellie Bullen to learn more about them and their stories, including their missions and advice on travel. Prior to becoming social media influencers, Lauren was a Dental Assistant and Ellie was at Griffith University in Brisbane studying nutrition and became a qualified dietitian. Neither imagined their lives would be changed by Instagram allowing them to see the world with tourism boards and travel companies alike. While their accounts share a few things in common, overall, they have differing missions and paths that got them to where they are today. Lauren’s mission for her account is “to inspire people to get out and see the world, and for those who can’t travel for whatever reason, to be able to take them around the world.” Her goal is to be unique and inspirational by creating “a realistic vision of our lives and travelling, a combination of showing the destination, including us in the images, the culture, food, and hotels.” Her account recently just reached 2 million followers, a huge milestone she said she was proud to reach. Lauren joined Instagram early and recalls learning more about photography and editing when she first went on a trip to the US and Canada. She said she “didn’t start with any other intention than wanting an authentically pleasing Instagram account and fun travel pics.” Along with the rest of us, it was always a dream of hers to figure out a way to get paid to travel. She felt like she “made it” when she was contacted by Student Flights in Australia and went on her first paid trip abroad to Europe with Busabout and Sail Croatia. Afterwards, she started getting contracted more and more for paid influencer trips. She shared, “I quit my job in December 2015 as I was making enough to not work my 9-5 as a Dental Assistant. Plus, I was having to take too much time off for travel trips.” She now works with brands as big as Tiffany and Co and Land Rover, a few of her favorites. Lauren is thankful to be where she is today. She said early on she was so excited when she landed her first press trip and was able to network with photographers and other influencers bigger than her, which helped her learn the ropes. Not long after she quit her job, in March 2016, she went on a trip with the Fiji tourism board where she met her boyfriend Jack with @doyoutravel, who currently has nearly 3 million followers. Lauren said they had a similar style of images at the time and that was something that sparked their relationship. She also shared that images of couples traveling the world was quite unique at the time. As a result, their content went viral. Now they continue to share photos together as they travel the world from Sri Lanka, to the Maldives, USA and Finland (well, to name a few). Ellie’s mission is “to encourage people to live a wholesome life” by sharing healthy plant-based recipes, tools to cook wholesome food, and colorful photos to inspire others to eat plant-based meals. In the beginning, Ellie saw it as just a hobby and shared images of her meals in her spare time while she was at University. She said, “it was just a bit of fun and I never intended for it to be anything but that.” Roughly four years ago, she created her blog (not long after Instagram) and learned that her followers wanted her recipes - so she started sharing them on her website. After graduating, Ellie realized that she would not have to find a typical dietetic job and could travel and work from anywhere. She started to receive offers for paid contracts with some of her favorite brands, including Mister Zimi and Nutra Organics. She also landed her first book deal and recently published her cookbook called Elsa's Wholesome Life. I asked her to share her favorite recipe, and she said it’s the ‘Mac-No-Cheese’, because it reminds her of a dish that isn’t nutritious or vegan but can be created with plant-based foods. While Ellie’s account is mostly focused on nutrition and health, she also travels quite a bit. She shared that she loves “trying different foods when travelling” and also researches vegan dishes and restaurants so she can try them. Of all the places in the world, Ellie said that Indonesia, Greece and Sri Lanka has great vegan options. I asked Lauren and Ellie what keeps them motivated and who has inspired them. Both have numerous sources of inspiration and are consistently motivated by their followers first and foremost. Ellie said that her sister Lauren inspires her to travel and Loni Jane and Ellen Fisher have inspired her to go plant-based. Also sharing her sisterly affection, Lauren said that Ellie has always been a big inspiration to her, especially since she started her Instagram before her and has always admired what she has created. Lauren’s biggest inspiration has been Jessica Stein and currently fashion blogger Aimee Song. Lauren: I love exploring new places, learning about cultures, new foods and traditions, I just think you learn so much about the world and yourself when you travel. Ellie: I love seeing new incredible places, experiencing different cultures and trying new cuisines. What has been your favorite destination(s)? Lauren: Favorite destination is actually the one I recently visited, Lapland, Finland. I had the best time there, so many new experiences and such different scenery than I’m used to. Also, I love Cook Islands. Ellie: My favorite destinations are: Bora Bora – French Polynesia, Cappadocia - Turkey, and Bali, Indonesia. What are the top places you want to visit this year and why? Lauren: I want to visit some new destinations this year, and the list is; Mexico, Cuba, Peru, Madagascar, Dominican Republic, Iceland, Norway, and Brazil. Ellie: I would love to visit Africa. I have never been to this continent and I would love to see the wild African animals. Lauren: Meeting my boyfriend Jack Morris, in Fiji on an Instagram job with the tourism board. Ellie: I think hot air ballooning in Cappadocia was my favorite. I had always dreamt of visiting this place. What is your absolute favorite travel picture you’ve shared? Lauren: My fav picture is the breakfast with the giraffes in Kenya, we went there in April last year for my birthday as a surprise trip from my Jack! Ellie: I took a photo from a lookout at Zakynthos (Greece), looking over shipwreck beach with an Orange juice in my hand. I really love this photo, as the beach is the most stunning blue, and contrasts nicely with the orange. In the next 5 years, Lauren and Ellie want to continue to do what they’re doing. Lauren is looking to head to undiscovered locations to keep her content fresh and Ellie wants to continue to build her community with hopes to reach 1 million Instagram followers. Both are also looking to create more videos as well as vlogs by moving towards YouTube, in an effort to communicate with their followers more and reach a new audience. I asked if they would ever consider creating a joint twin account, since a lot of their followers enjoy seeing pictures of them together. They said they have talked about creating one and think it would be fun, so maybe one day! Their travel advice for female millennials around the world - "go out there and do it. Don't be too afraid, just be a smart and safe traveler." Sounds like good advice to me.